Today, while celebrating Okta’s 10th anniversary, we’re proud to launch our fifth Businesses @ Work report. A lot has changed over the past years. In our first report, we mused that companies were finally finding their footing with apps and multi-factor authentication. At the time, we were proud to reveal that companies were adopting an average of 16 cloud apps, when today, companies are deploying hundreds of cloud apps and offering employees several options for MFA. We’ve also predicted the rise of companies like Slack and Zoom, and watched as apps like Yammer and GoToMeeting fell out of popularity. Over the past five reports, I’ve been most struck by the clear need for choice. In today's tech-first environment, companies and employees alike are insisting on flexibility. Large companies that have been Okta customers for three years now deploy 163 apps on average. And over the past four years, enterprises have increased their number of apps deployed by a significant 68%. Security is a major priority as well: this year, user-focused security tools dominate the fastest growing apps with KnowBe4, LastPass, and Proofpoint in the top three spots. As businesses rely on versatile solutions to empower productivity, apps that offer a broad range of functionality and interoperability are also in the spotlight. We saw more companies selecting best-of-breed apps like Box, Slack and Salesforce — further indicating the importance of choice when it comes to implementing new solutions. To better understand how people work and the tools they need to succeed, we added a new layer of insight this year: we surveyed 1,200 U.S. knowledge workers on their technology and workplace preferences, unlocking new findings that complement our proprietary data. We shed light on work habits (more than half of respondents listen to tunes while they work), WFH uniforms (jeans and a t-shirt are the go-to), and productivity killers (hint: meetings really are a drag). The Microsoft vs. Google rivalry continues: When it comes to naming the most popular app, Office 365 takes the gold — but both Microsoft and Google’s collaboration suites are thriving. While Office 365 can claim nearly twice as many customers as G Suite, G Suite’s user base is growing more quickly. Other popularity contest winners include Slack and video-conferencing favorite Zoom, with Slack taking an impressive leap from 13th place up to 6th in most popular apps by number of customers, and Zoom making the list for the first time, coming in at 9th place. Speaking of Zoom… The app won “most likeable,” against Cisco WebEx and Skype: our survey respondents rated Skype their least favorite and “most stressful” app, 7% said they dislike WebEx, and only 4% reported that they dislike Zoom. It is also the only app to appear on both the most popular and fastest growing apps list, which becomes more impressive when you consider its growth potential: only 19% of our survey respondents were aware of the app, with 9% reporting that they have used it. Enterprise security wises up, but Kanye’s not the only one with a “000000” password: 2018 was a groundbreaking year when it came to cyberattacks, with 1,138 breaches reported as of early December. The good news: more companies turn to MFA to protect against breaches, with 70% of companies using 2-4 different factors for authentication, up from 65% last year. The bad news: knowledge worker’s passwords are still often just as hackable as Kanye’s. Nearly 40% of our survey respondents reported that they recycle the same 2-4 passwords for almost every account, and many don’t understand the danger of revealing their passwords — with 26% admitting to writing down passwords on a sticky note or piece of paper. As “work-cations” rise, so does Airbnb: Airbnb is now the second most popular hotel and lodging app, climbing from its #4 spot last year. One possible reason: not only are employees now booking Airbnbs for team collaboration, they’re extending work trips to include personal vacation and booking with Airbnb. Other top travel apps this year include Southwest Airlines, likely due to the convenience of its last-minute cancellation and refund policy, and Uber, which makes sense given its position as the most expensed vendor for business travelers. Our data and survey results show that as technology becomes embedded into every aspect of a business, “digital transformation” has become the status quo: organizations are increasingly turning to new apps, solutions and tools to keep their workforce moving in harmony. Companies will continue seeking tools that help them keep pace — and by embracing flexible and customized solutions, we can create the most productive and secure workforce yet. You can find additional findings in the full report here. Todd McKinnon is the CEO and co-founder of Okta. He is responsible for creating, communicating and implementing our overall vision and strategy. Under Todd’s leadership, Okta has grown into the leading identity solution with thousands of customers. 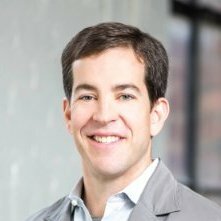 Prior to Okta, Todd served as the Head of Engineering at Salesforce.com, and he has nearly a decade of experience working in various engineering and leadership roles at PeopleSoft. Todd also enjoys CrossFit and spending time with his family.